Foreign Ministry praises move as 'a step in the right direction' as Australia recognizes western half of Jerusalem as Israel's capital. Australian Prime Minister Scott Morrison announced on Saturday that his country officially recognizes West Jerusalem as the capital of Israel. "Australia recognizes West Jerusalem, the seat of the Knesset and many government institutions, as the capital of Israel," Morrison told reporters at a special conference in Sydney. However, Morrison stressed that the embassy would not move to West Jerusalem until a peace agreement was reached between Israel and the Palestinian Authority, but said that his government would establish an office that would deal with security and trade. Australia joins the United States and Guatemala in recognizing Jerusalem as the capital of Israel. The Foreign Ministry praised the Australian Prime Minister's decision, calling it a "step in the right direction". "Israel views the decision of the Australian government to open the Ministry of Economic Affairs in Jerusalem as a step in the right direction," said a statement released by the Foreign Ministry. 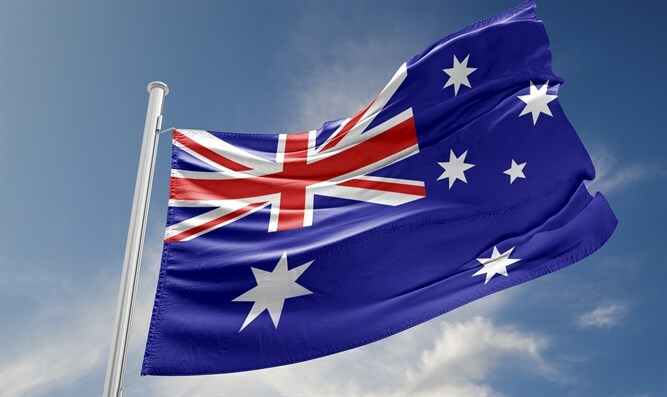 "Israel welcomes the Australian government's position on the sanctions against Iran and its aggressive stance against Israel at the UN and anti-Semitism." week about the possibility of Australia recognizing Jerusalem as the capital of Israel. On Tuesday, The Australian reported that the Australian government would formally recognize Jerusalem as the capital city of the State of Israel, but is not planning on relocating its embassy from Tel Aviv in the near future. Shortly after he entered office, it was reported that Morrison was weighing the possibility of recognizing Jerusalem as Israel’s capital, as well as the relocation of the Australian embassy in Israel from Tel Aviv to Jerusalem. He later stressed that he had not yet decided to recognize Jerusalem as Israel’s capital and would hold consultations on the matter, while stressing Australia’s commitment to a two-state solution.